We want to be Dereck and Beverly Joubert when we grow up. 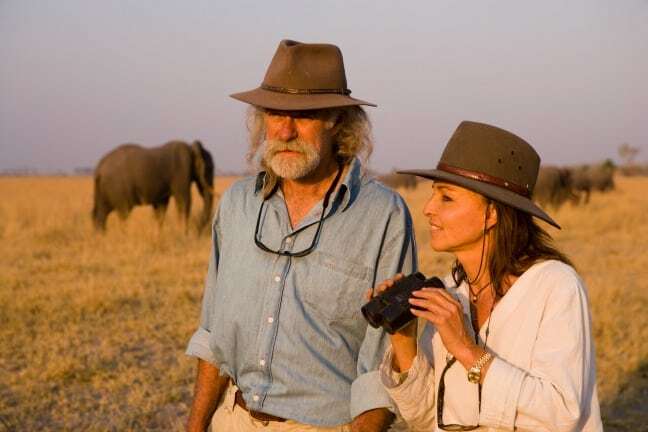 Living and working side by side, these award-winning filmmakers, National Geographic Explorers-in-Residence and wildlife conservationists have been filming, researching and exploring Africa for over 30 years now. Together the Jouberts have made 25 films for National Geographic, published 11 books and half a dozen scientific papers, and written many articles for the magazine. Their films have received international recognition, including 7 Emmy Awards, a Peabody and a Lifetime Achievement Award at the Japan Wildlife Film Festival. They were also awarded a World Ecology Award alongside Prince Charles and Richard Leakey, and inducted into the American Academy of Achievement in 2009. But what we admire most about the Jouberts is their passion and dedication to their mission to conserve Africa’s key wildlife species. Through their company, Great Plains Conservation, they continue to meld conservation and sustainable ecotourism by purchasing vital tracts of land (many of which were formerly used for hunting) to be protected and preserved for the benefit of local wildlife and the surrounding communities. Today that land totals about 1.8 million acres in Africa. 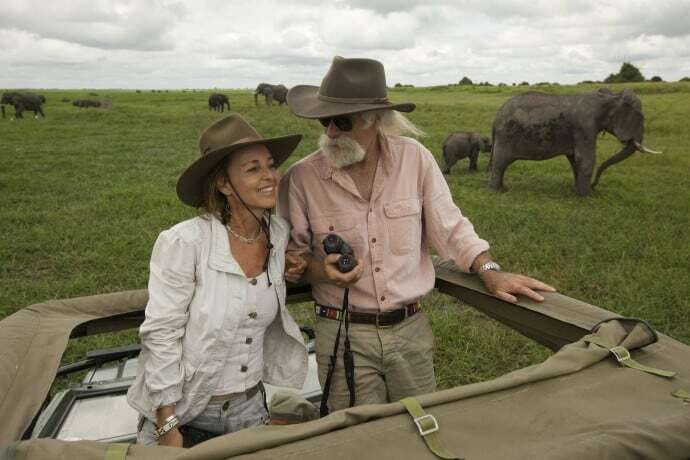 Having worked with the Jouberts to raise money for their Rhinos Without Borders project earlier this year, we were delighted to speak with them about their new film for Nature, “Soul of the Elephant.” The documentary, which finds the couple paddling from one end of a river to the other in Botswana’s Selinda Reserve (home to over 7,000 elephants), airs Wednesday, October 14 at 8PM on PBS. Can you give me an update on how Rhinos Without Borders is going? We swooped in and within 36 hours had 15 Rhinos that we’ll be moving to Botswana, which gives us 26. We have the funds to transport another 15-16 beyond that. 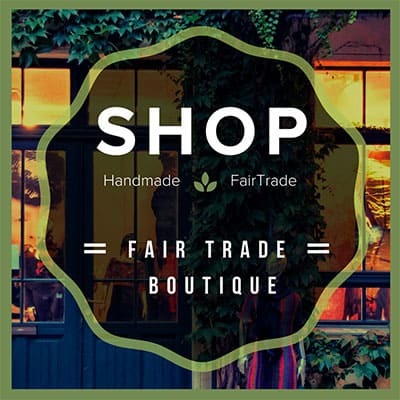 We’re in a fundraising drive now to raise more. Beverly: This capture clearly shows what we’re doing is protecting the Rhinos, because three of them had bullet wounds. The veterinarians took the bullets out and patched them up, so by the time we move them they’ll be healthy. It’s a clear statement that this is the right way to go right now in South Africa. You’re both from South Africa. How did you originally meet? Beverly: The great thing about our lives is that we share our passions and capture every sunrise and sunset together, which is glorious. We met in high school, but didn’t start dating then. Dereck went off to do compulsory military training. When he came back, we went into the field and started exploring together almost immediately. We worked in a lion research station in Botswana in 1981 and fell hopelessly in love with the wilderness. We did nocturnal work there for 15 years. Working at night takes its toll on a relationship because of sleep deprivation, but we held in there. 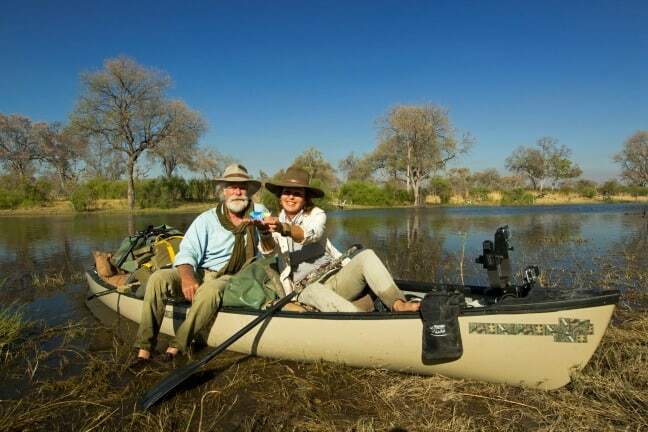 That was the beginning of our filming career and this strong commitment we have to the Okavango Delta. Dereck: It’s been a very romantic life. We fell in love young and have been in love ever since. 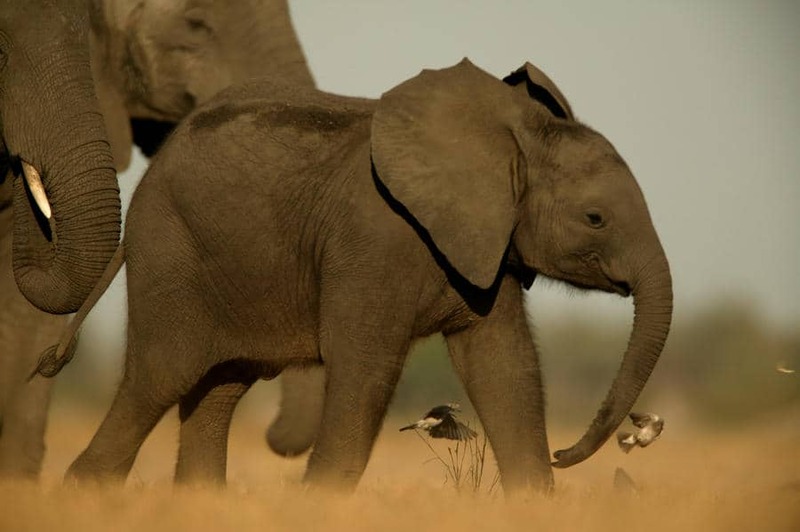 That love for the wilderness, wildlife and each other really comes across in Soul of the Elephant. Beverly: People have said they liked that the film is a love story in so many ways. Our main goal is to show the essence of who Elephants are. It’s almost like an ode to Elephants. If people don’t fall in love with them and realize we should be caring about them, we’re going to lose the Elephant population at a much more alarming rate then we already are. Dereck: Rhinos are not exactly cute, cuddly lion cubs. So, for many people, would they want to see the Rhino go extinct? No. But do they care a lot? Probably not. The audience for conserving Rhinos is much smaller than Lions or Elephants. Our tactic is to bundle them all together so that people can’t look away from Rhinos, because they’re looking at lion cubs in the same package. What is it about Elephants that people connect to on such a deep emotional level? Dereck: I think more and more people are understanding that Elephants are intelligent, gentle, sentient beings that have emotions, language, empathy and all these things we like most about ourselves. They show no signs of the things we dislike. The reason why I think Elephants sometimes trump the big cats is because they don’t do anything perceived to be nasty, like killing young zebras. They have all the things we love about wildlife and family. I think they sell themselves. 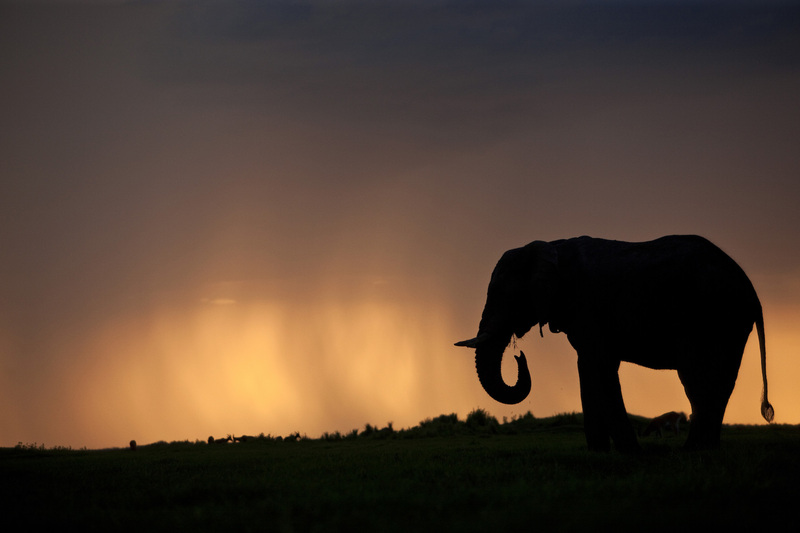 What did you learn about Elephants while making this documentary that you didn’t know before going on this epic journey? Dereck: There’s a scene where around 500 Elephants visit the sun-bleached skull of a dead elephant [with ivory intact] over the course of a few days. 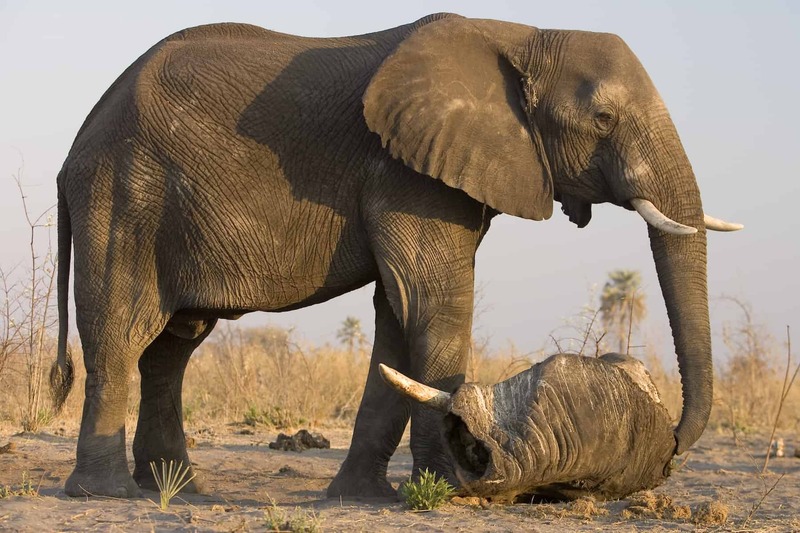 We knew that Elephants mourn their dead and investigate their skulls and ivory. We were among the first to write about this in National Geographic in 1990. But what we recently realized was that wild Elephants have a need to ritualize death, and they do it with touch and feel. They go to the skull and spend time around it, like we would go to a tombstone. They need that symbolic remembrance. What’s important about that is that, if we’re shooting Elephants and collecting their ivory, we remove that sense of closure for them. We need to understand that, if it’s important to us, then it’s probably important to them. Let’s talk about your Great Plains Conservation mission of buying land that helps create and expand wildlife corridors. Why is that important? Dereck: As you isolate species into smaller areas, the risk of extinction becomes higher and higher. We commissioned Duke University students to look at where big cat populations were 15 years ago, 10 years ago, 5 years ago, today, and where they might be 5, 10 and 15 years out. Then we overlaid a similar map of where human populations would be. We use the big cat populations as indicators of how well the wilderness might be doing. We’ve got this map of Africa and we chose big ecosystems that we wanted to play a role in protecting. Then we looked to see if there was any land in the extension of those ecosystems that was not well- protected. We’ve got a “hot list” of 20-25 places that we will be targeting as we do our funding so that we can play a role in creating buffer zones and extending the ecosystems in national parks. If that land is damaged or used for hunting or cattle, we target that first, because those will slip off the table early. It’s a very scientifically derived fundamental of our company. So we’ve got this razor sharp mission, but it excludes us from other opportunities. We’d never buy a camp inside a functioning National Park, as good as it might be for business. Because it isn’t about business for us, it’s about furthering this mission and aiming where we can most make a difference. 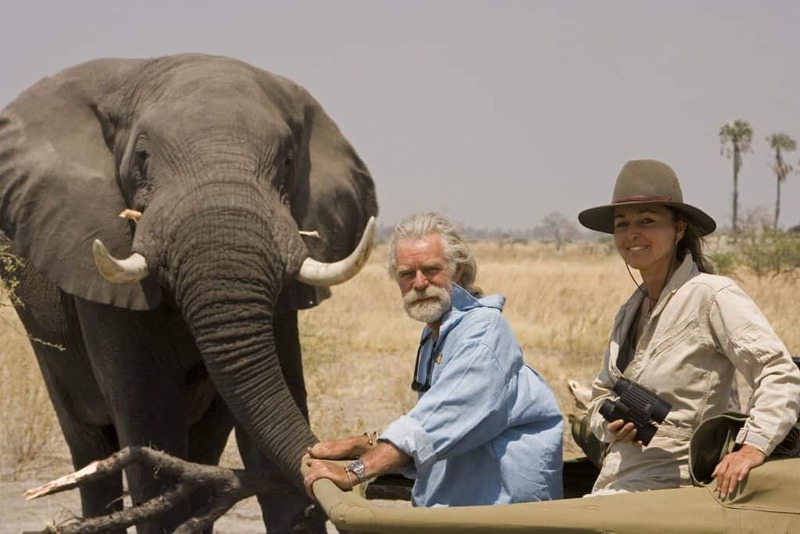 What role do you see ecotourism playing in conservation efforts in Africa, particularly in regards to providing a better alternative to hunting tourism? 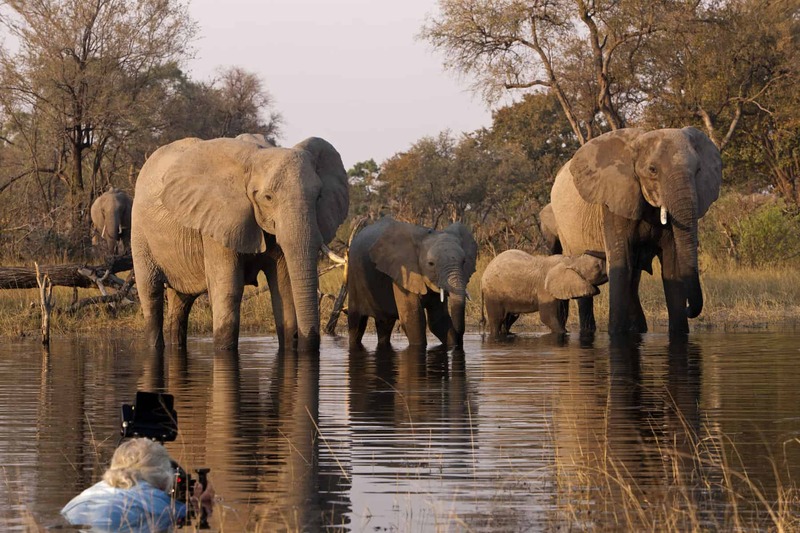 Dereck: A prime example is Botswana’s Selinda Camp Reserve, which we bought 7 or 8 years ago when 80% of its revenue was from hunting and 20% from ecotourism. We shut down the hunting on day one and immediately went into the red, but eventually clawed our way out of it. The wildlife numbers were seriously depleted. We saw just one leopard and 50 buffalo in six years. Hunters would shoot lions to the point where whole prides collapsed. They shot the male lions and they were replaced by inferior lions, and they shot those too. Then the cubs grew up and started mating with their mothers and grandmothers until the entire system collapsed. When we took it over, they hired 12 people in two camps for five months of the year and attracted 12 hunters a year to come shoot wildlife. With hunting, 90% of the money stays off-shore. Now, we hire 180 people from the local area for 12 months a year. The trickledown effect is that we put food in the mouths of about 2,500 people. We can take up to 50 people a day and run at about 75% occupancy. If you add those numbers up, we’ve created an increased financial benefit to the nation of 1300% annually. Every day we see bad news for nature and wildlife, but today it was announced that China’s “Queen of Ivory” was arrested in Tanzania. What other signs of hope do you see for people who love wildlife? Beverly: I think it’s really key that we remain optimistic. Our main goal is to create awareness and education. In April in Beijing, we spoke to a forum on wildlife conservation. Our talk was broken up into social media bites, and within two days we’d reached 195 million people! That gives me hope. If people are prepared to listen, they’ll learn that the ivory they buy is blood ivory. Animals are being murdered for that ivory. 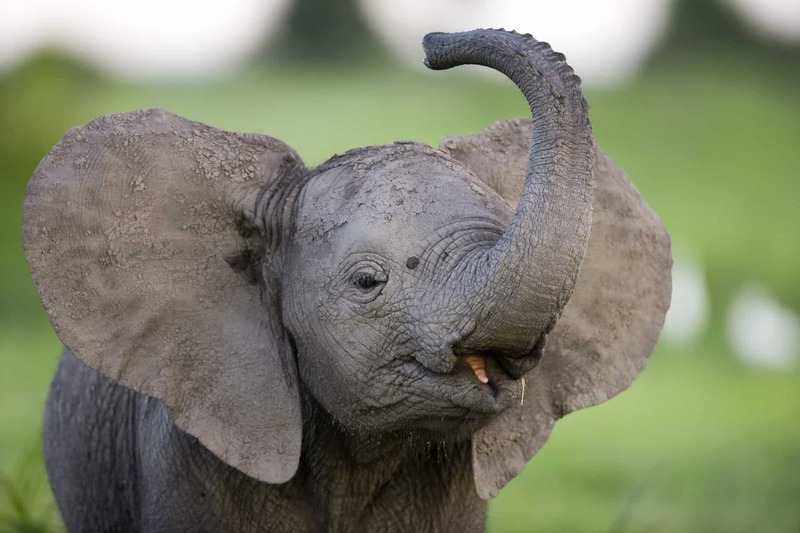 Studies have shown that 84% of the Asian population that buys ivory is unware that Elephants are killed for their ivory.